UPDATE: We’ve seen a number of Shelfarians becoming more active on LT recently, and we’re happy to have you! You might find some of your old friends over in the Shelfarians on LibraryThing group, created and managed by your fellows. You’ve got a couple options when it comes to exporting your Shelfari library, and can either directly download a file, or have one emailed to you. See Shelfari’s instructions here. It’s quick and free! Head over to LibraryThing.com and click “Join Now.” Enter your desired username and password (we also recommend including your email address, for password resetting purposes), and you’re good to go! If you’ve already got a LibraryThing account, you can import your Shelfari library to your existing account. Once you have your Shelfari export file, go to our Shelfari Import page and upload it there. Welcome to your new library on LibraryThing! We’re happy to have you. Take a look around, and get to know the place a bit. We recommend the Short Introduction for a quick overview of features. If you have any questions, Talk—our discussion forum—is a great place to start, and you can always email us at info@librarything.com. 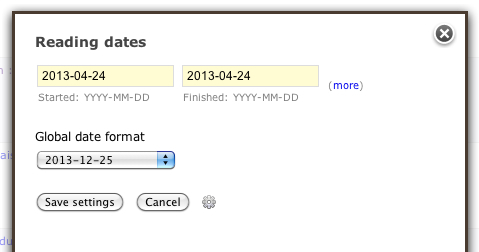 Import now reads files from LibraryThing competitors, so you can move to us or synch your accounts. Depending on the site, we pick up tags, reviews, ratings and comments. 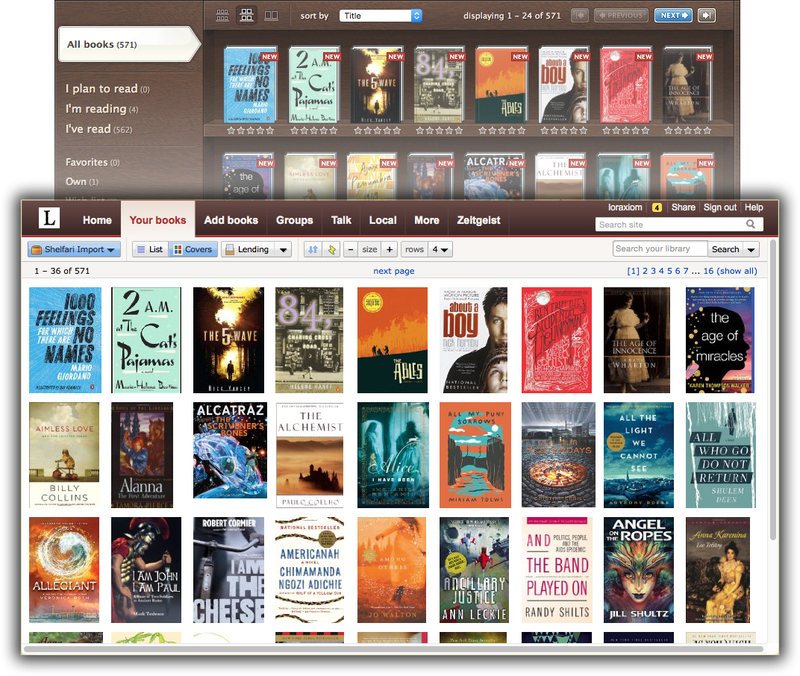 If you already have the books in your library, you avoiding adding the books again, but synch your user data. 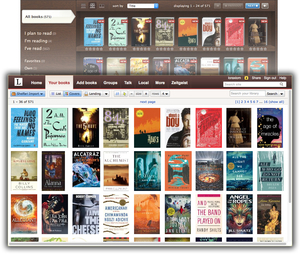 The sites include Anobii, Shelfari and Goodreads. If you use someone else—there are more than 35 of them!—let us know. If the offer export—not all sites do—we can work it out. 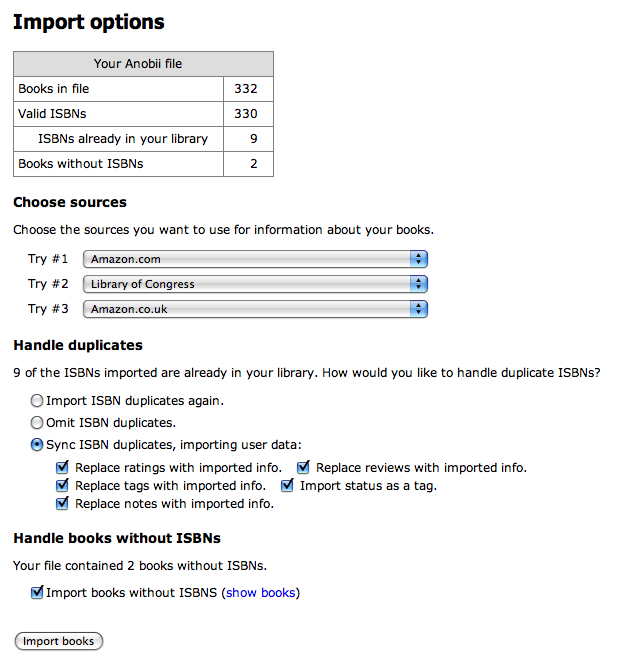 If your file is formatted properly—formatted like the LibraryThing export or any of our competitors’—we now import non-ISBN books. Import is still based on the idea that—when possible—LibraryThing re-fetches the bibliographic data. This adds another step, an “import queue.” But it also allows members to import full records, which no other site exports, and to get high-quality library data, if they want it. Tell us what you think on Talk. It’s probably going to take a while to spell out what it does and doesn’t do and to update the old Adding and Importing FAQs. *Mike (member: notmydadslibrary) is a new intern up here in Portland. This was a doozy of a first project!